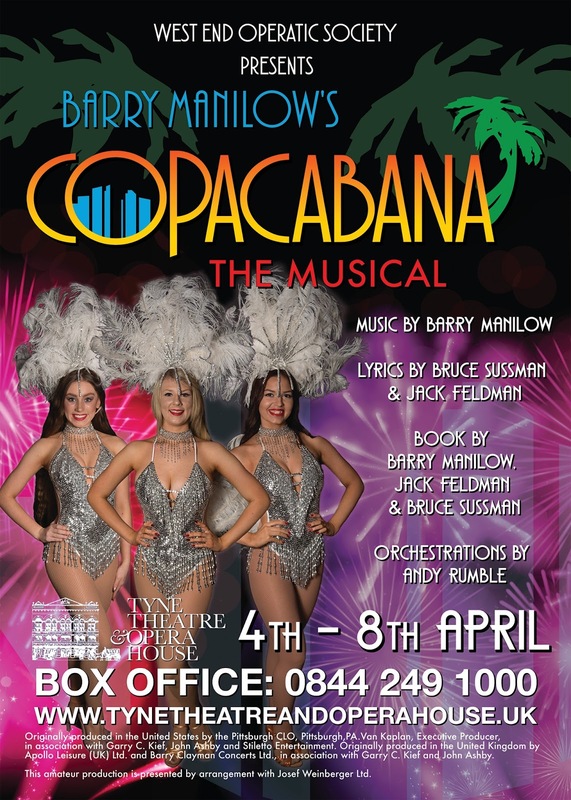 ‘Her name was Lola, she was a showgirl’… Copacabana is a bright production about glamour and show girls. The music by Barry Manilow captivates like a Radio 2 show, easy on the ears but somewhat deceptively complex for the musicians to pull off. The story features Stephen (Liam Gilbert), a present day aspiring songwriter, who is in the midst of writing a tune telling the story of Lola (Helen Cash) who arrives at a nightclub in New York, full of show-biz aspirations, fresh off the plane from Tulsa. Tony (Liam Gilbert) is a bartender/composer who falls in love with her and, along with Gladys (Emma Scott), helps her become a Copa girl. Lola, of course, attracts the amorous attentions of rival nightclub owner Rico (Simon Pinkney). When Rico goes a bit too far by abducting Lola and taking her to his rival nightclub in Havana, Tony and the whole Copacabana crew set off to rescue Lola! 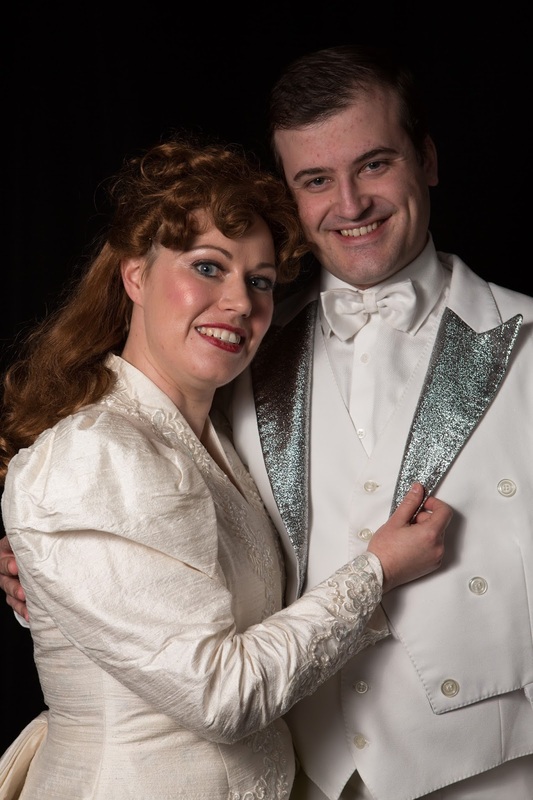 The two principal characters are well played by Liam Gilbert and Helen Cash. Their singing ability is consistently strong across the piece. 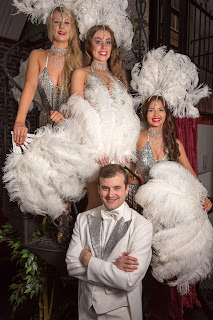 Likewise the support from Simon Pinkney, Leanne Harrison (as Conchita, a showgirl at Rico’s club) and Emma Scott helped the show to flow. Funnily enough, this musical was on tour in 2014 and was supposed to come to the Tyne. We were all set up to see the show but it had run out of steam before it landed in Newcastle. As a result tonight was the first time that we’d seen this musical. Manilow’s songs are still fresh and our music loving son wants to hear more for ideas for a piece he is currently working on. Having said that, something tonight didn’t, in our opinion, quite click in the right place. Perhaps it was too much to ask in order to turn a single pop song into a 2 hour rags to riches tale? As musical choices go, it isn’t one that we will be rushing back to see. The final scene was worth waiting for as the large ensemble sang and danced their way through the Copacabana song itself. The costumes and lighting, plus enthusiastic playing by the live band added to a fitting end to the evening. West End Operatic Society presents Copacabana at the Newcastle Tyne Theatre and Opera House from Tuesday 4th – Saturday 8th April 2017. 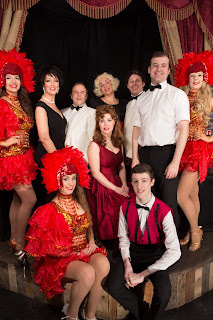 Evenings 7pm Matinees Thursday and Saturday 2pm. 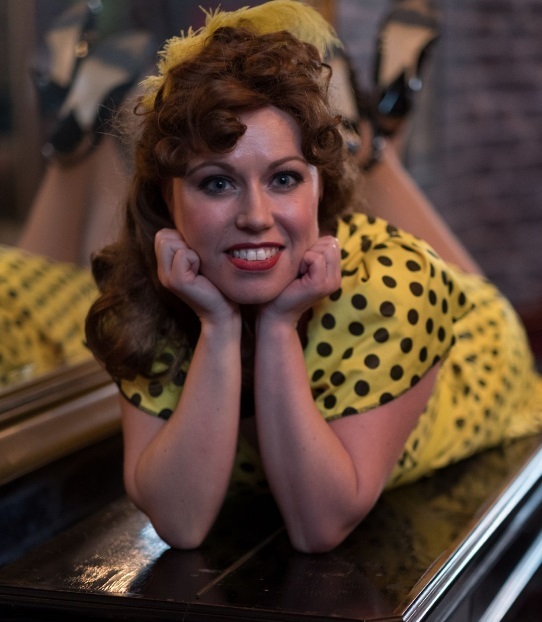 Tickets can be bought in person from the theatre. The Tyne Theatre & Opera House is open 10am-3.30pm Monday to Friday and Event Days. Tickets subject to booking fee & charges apply when paying by debit/credit card. No fees for cash payment at box office.